So you’re thinking of looking for a new home for your bird. There are a number of reasons someone may rehome a bird – the owner passes away or is too ill or injured to care for a pet; a job that includes a lot of travel and time away from home; leaving the country; behavior problems; you have more than one bird and they are arch enemies and so on. Whatever the reason, rehoming can affect a bird physically and phsycologically. A bird may become fearful, angry, mistrustful of a new home and new person. If you need to rehome a bird, it’s important to choose someone knowledgeable about your particular type of bird. 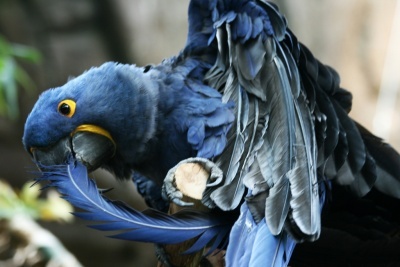 It would help to have a potential new owner visit your bird and interact with him/her. It is not a guarantee of your bird’s behavior in a new home, but sometimes through observation, you can tell if they are a good match. Visit the person’s home as well to check new surroundings. Some birds, when placed in a new environment, take many weeks to adjust. They may scream and bite or try to when the new owner approaches. The new owner must understand that it takes a lot of time, patience and knowledge of bird behavior before the bird learns to trust a new person and realize s/he is not a threat. If you must rehome your bird as quickly as possible, there are a number of sanctuaries that can be suitable. But before making a commitment or signing paperwork, visit the bird center, check the enclosures, speak with the staff and ask questions. Know what the future holds for your bird. 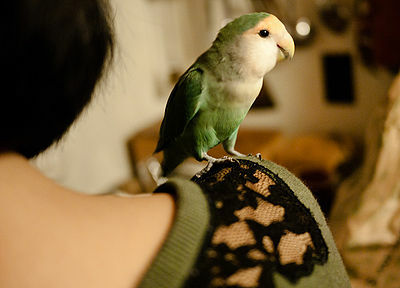 Should Your Bird Have Shoulder Privileges? 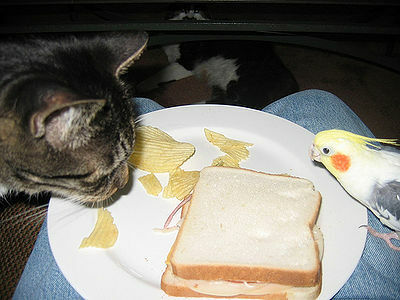 Can Cats and Birds Live Together?